In a press release dated February 4th Sysco Corporation (SYY) announced results for the 2nd Quarter of Fiscal 2019 ending December 29th 2018. In commenting on results, Tom Bené, Sysco Chairman, president and chief executive officer stated, "our second quarter results were in line with our expectations," He added "we saw solid topline growth, while we continue making investments in our business, particularly in our international segment. We remain focused on exceeding our customers' expectations, while continuing to manage costs, and anticipate seeing additional benefit from our cost savings initiatives in the second half of this fiscal year." 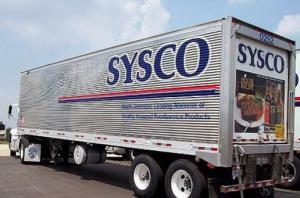 In order to drive continued growth and value creation, Sysco recently implemented organizational and executive leadership changes, which further align the company with its customer first operating model and streamline the business. This reorganization results in an approximate 10 percent reduction in salaried corporate support positions.